livecall:callEnd — when a call is finished. to display popup in scheduling mode. Displaying Popup with a banner/button etc. 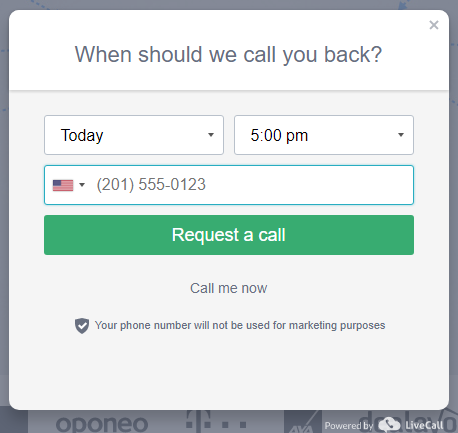 livecallClient.openCallbackPopup(true) when you want to show popup in scheduling mode. 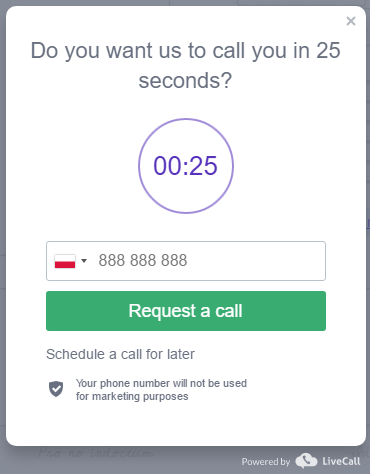 This will show popup to request callback immediately or to schedule a call. Please keep in mind that the popup in scheduling mode will show only when the option "show widget in scheduling mode" is enabled on the selected filter. It is possible to tag visitors and then see their IDs in calls section. In order to tag visitors you need to assign Customer_ID to every visitor before loading LiveCall installation script. Here we&apos;ll show you how to track certain events in Google Adwords.